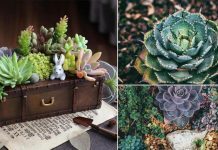 Make free fertilizer for your container vegetables, houseplants, and flowers from this DIY Organic Fertilizer recipe using vegetable and fruit scraps! Wouldn’t it be amazing if you could make a liquid fertilizer from vegetable and fruit scraps? Well, now you can. 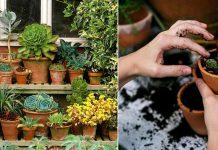 This DIY organic fertilizer recipe will teach you how to do it. It completely depends on the ingredients you’re adding. For example, if your fertilizer includes banana peels, they’re rich in phosphorus and potassium. Tea leaves and coffee grounds are a great source of nitrogen and egg shells are rich in calcium and other trace elements. If you’ll add Epsom salt and Ammonia, both of them are optional, you’ll add magnesium, sulfur, and nitrogen. 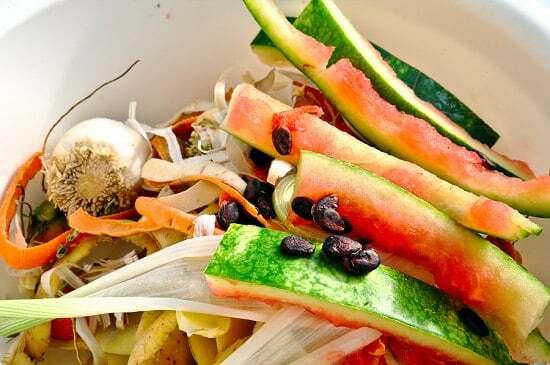 Save vegetable and fruit scraps for the whole day. Both cooked and raw scraps can be saved along with eggshells, coffee grounds, used tea leaves, and nut shells. If the collection is taking time to reach enough amount, store the vegetable scraps in a freezer. Note: You can also save water you use for boiling vegetables and add it in the concoction. Thaw the scraps you stored in a freezer before adding them to the blender. Add some water as well in the blender to get a consistent fine paste. Pour that paste in the bucket. Add a half tablespoon of Epsom salt (optional) and one-fourth tablespoon of Ammonia (optional) to every blender full of concoction you’ll put into the bucket. Continue to do so till all the scraps are blended. Stir the paste thoroughly. Cover the bucket and leave it to sit overnight. After sitting overnight, the paste will be ready for use. You can strain it as well to remove the solid pieces, but this step is optional. If your DIY vegetable scrap fertilizer paste is thick, don’t forget to add an equal amount of water in it. Transfer your vegetable scrap fertilizer in a watering can and pour it around the base of your plants as the way you water. In the garden, apply it in the early morning or the best, in the evening to avoid evaporation. Apply this organic fertilizer twice in a month to your container vegetables, houseplants, and ornamental plants. 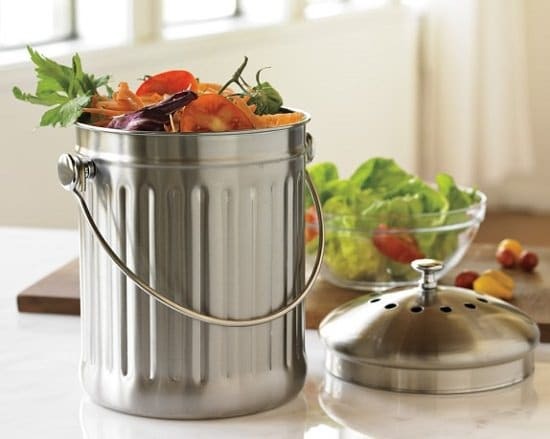 Great method of using veggie scraps for your garden without really having to compost. 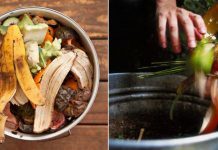 I have been composting for quite some time now but this is a very interesting concept that I will be trying out. Thanks so much for sharing!